This week in my American History class at Southern High School, I started a chapter on settling the west. Topics include things like The Homestead Act, where for $10, an individual could file for a tract of public land to settle, sometimes claiming up to 160 acres; George Armstrong Custer, Sitting Bull, and a few Meigs County natives who would help shape westward expansion; and one of the most overlooked: Nelson Story. Nelson Story was born on April 4, 1838, in Burlingham, Meigs County, Ohio, to Ira and Hannah Story, originally from New Hampshire. Nelson was their youngest son; by the time he turned 18, both of his parents had died. After trying his hand at teaching school, then spending two years at Ohio University, Story headed west to Kansas Territory. He made his way to the Army Post of Fort Leavenworth where he was hired on as a “bullwhacker” or teamster, someone who would drive pack animals hauling goods across long distances. By 1862, Story was hauling goods out of Denver, Colorado, and once on a trip to Missouri he met Ellen Trent and married her in Kansas later that year. By 1863, Story, tired of the teamster life, decided to try his hand as a prospector in the Montana gold fields. By June, Story had mined about $30,000 worth of gold around Alder Gulch, Montana. By today’s standards, Nelson Story would have mined nearly $607,000 worth of gold. 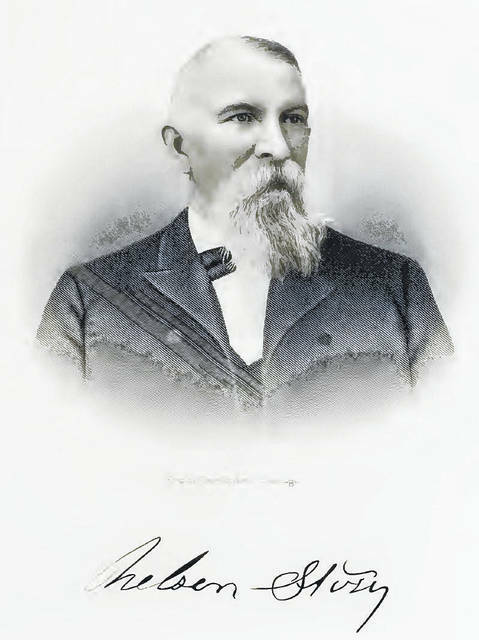 During his tenure in Montana, Story went on to become a charter member of one of Montana’s first Masonic lodges, as well as served on a vigilance committee, a group voluntarily enforcing law and order. (More on that can be read here: https://web.archive.org/web/20111002191307/http://www.mtpioneer.com/2010-Dec-bozeman-masons.html) Story decided to trade his $30,000 worth of gold for $20,000 cash. Story traveled to Fort Worth, Texas, and purchased 1,000 head of cattle (although some sources say closer to 3,000) for around $10 a head. At this time, cattle could be purchased for very little in Texas due to post-confederate economies, and a high supply due to eastern and British interests in the market which led to overpopulation. From April to December 1866, Story overcame “jayhawkers” in Kansas, after being denied putting cattle on trains from fear of disease. He then decided to head the cattle up the Bozeman trail. 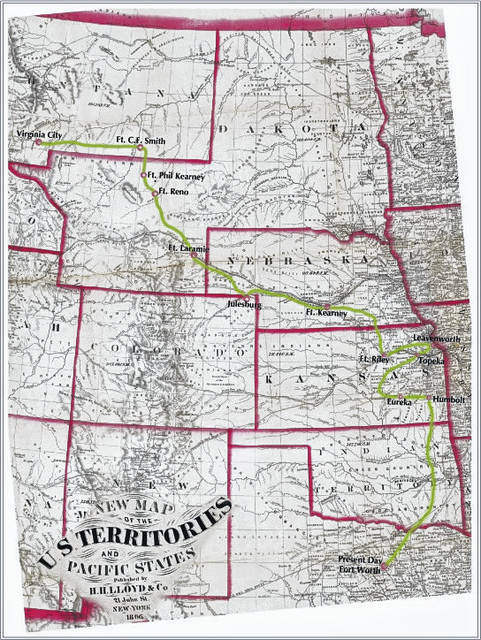 During that drive, Story defied orders from Colonel Henry B. Carrington of The United States Army to stop his advance north due to the threat of Indians. Story eventually fought Sioux and Crow Indians in Wyoming while on his way to Montana. Fortunately for Story’s crew of around 30, only one died and two were injured in the drive from Texas to Montana. While this was not the first cattle to be driven to Montana, it is the first herd of cattle to be driven from Texas to Montana. Once he arrived in Bozeman, Montana, Story sold some of his beef to miners at an astounding profit, making 10 times more than he paid for them in Texas. Others he kept and started his own ranch in Paradise Valley, Montana. In 1882, Story opened the Story Flour Mill at the mouth of Bridger Creek, producing up to 100 bushels of flour a day. Story was the major supplier of beef and flour for the U.S. Army at Fort Ellis, Fort C.F. Smith, and for the nearby Indian Reservations in southeastern Montana. This business deal eventually made Story the first millionaire in Bozeman. In 1876, the Army accused him of defrauding the Crow nation by filling pork barrels with offal, double-counting single sacks of flour, passing off calves as fully-grown cattle, and attempting to bribe an officer. Story never stood trial, reportedly later boasting about avoiding prosecution by bribing the grand jurors. He also had a terrible temper which resulted in violence on more than one occasion. According to one account, he was notorious for pistol- or cane-whipping those who incurred his wrath and once threw a brick at his own son in anger. 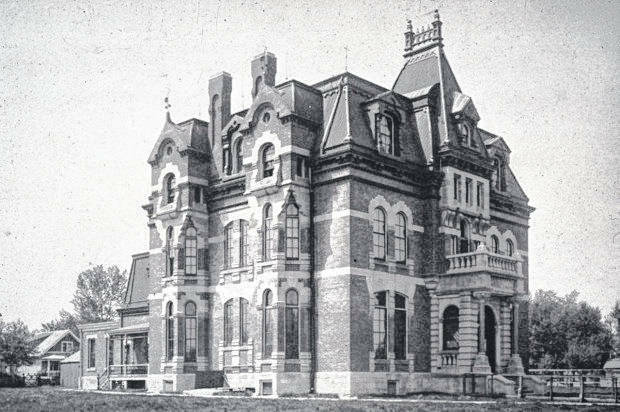 Because of his fortune, Story went on to build a mansion on West Main Street in Bozeman, and it was so elaborate and grand in design, it was often mistaken as the Gallatin County Courthouse which sat across the street. Story and his wife Ellen had a son, Walter Perry Story, who was born in Bozeman, Montana, on December 18, 1882. He was the last born of their children. Walter began his education but later attended Shattuck Military Academy at Faribault, Minnesota. He left there in 1902 and graduated from Eastman Business College at Poughkeepsie, New York in 1903. He returned to Bozeman to work with his father until 1905, when he went back to Los Angeles. There he worked in real estate and founded the first motor transit line in the western United States. He then helped his father develop more business in Los Angeles, including building the Story Building, which had twelve stories and was completed on April 1, 1910. The elder Story then retired and moved back to Bozeman but died in Los Angeles on March 10, 1926. Walter began his military service by enlisting as a private, later serving in World War I. He was out of the military until 1920 when he was commissioned as a captain of infantry in the California National Guard. He became a Brigadier General in July 1926. He wasn’t promoted to Major General for another 11 years. In 1928, he founded Camp Merriam, which is now known as Camp San Luis Obispo. He entered federal military service in March 1941 and took command of the 40th Infantry Division. He was relieved of command in September 1941, and retired from active list in July 1942. Nelson Story died on March 10, 1926, at age 87 in Los Angeles, California, and is buried in Sunset Hills Cemetery, Bozeman, Montana. In 1959, Nelson Story was inducted into the National Cowboy Hall of Fame, Oklahoma City, Oklahoma, as a Great Westerner. In 2008, Story was inducted into the Montana Cowboy Hall of Fame as a founding legacy member.